What is Vibroacoustic Harp Therapy (VAHT)? 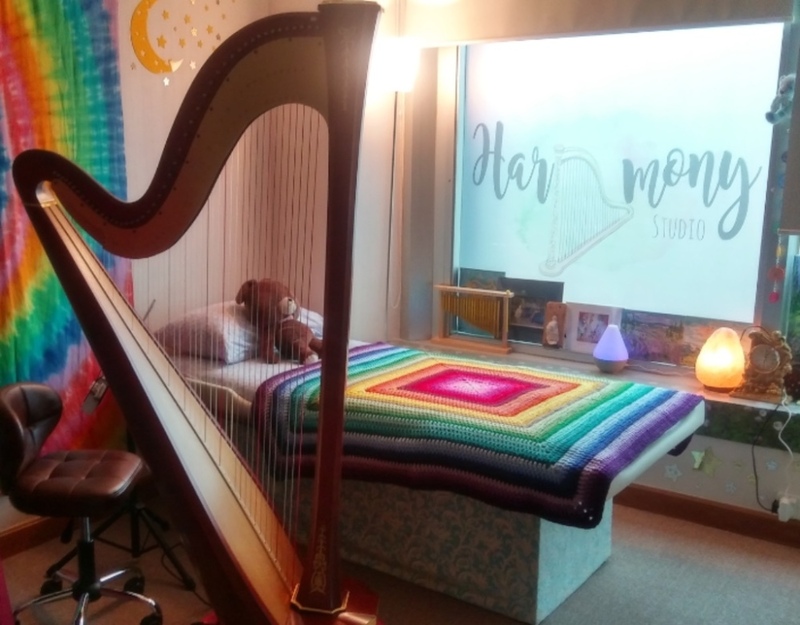 Often described as a musical massage, Vibroacoustic Harp Therapy involves the live performance of harp music amplified through a vibrotactile chair or pad, directly delivered to a patient’s body in the form of sound vibration. When the patient (or client) senses that specific tones or pitches resonate in areas of the body where s/he experiences pain or tension, the VAHT practitioner plays music that features and emphasizes those pitches. The music may be improvised or selected from existing repertoire. What can a patient expect during a VAHT session? A harp with at least 36 vibrating strings resonates with and relaxes the patient’s body and mind. While lying or sitting on a vibrotactile pad or chair, a patient experiences musical tones in different areas of the body at different times – so the therapy is a dynamic process, tailored to each patient. Abstract thinking slows and awareness expands. S/he may have increased body awareness and feel like s/he’s dreaming. Occasionally, memories (positive or negative) may be recalled, or re-experienced, or symbolized through imagery. New awareness and insight, positive reframing or integration of previously repressed material may possibly lead to emotional release. In addition to deep relaxation and increased body awareness, most patients report relief of pain or symptoms, positive imagery and a feeling of being nurtured. What types of clients have benefited from VAHT? Persons who suffer from conditions such as: chronic pain, fibromyalgia, PTSD, Reflex Sympathetic Dystrophy, Sjogren Syndrome, respiratory congestion, lymphedema, headaches, tinnitus, insomnia, anxiety, ‘chemo-brain’ and depression have reported symptom reduction after a 20-minute session of VAHT.